Please Check back for more information about us. 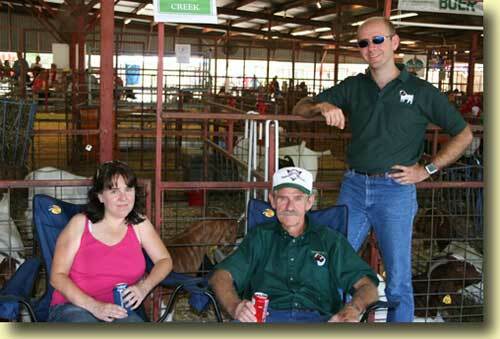 Angie, Freman and Kevin taking a break between shows at the Ozark Empire Fair, August 2005. 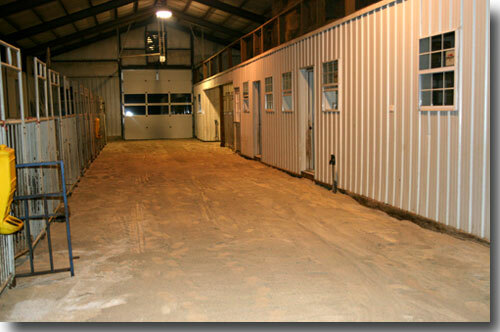 This is the inside of our barn, looks like this once a year for about 5 minutes, darn. Then we turn the goats back in. Actually, we do power wash the walls down and put what they call around here screenings on the floor. We do this to help sanitize it before the next kidding season.